I've been slowly going through my Great Aunt Luba's photo album that my cousin Craig bestowed upon me in August. There are some really tiny photos inside. Aunt Luba was not the best at labeling the photos, so I have to guess at some. I do recognize many relatives, but some of Aunt Luba's friends will remain forever unknown to me. Just a reminder. If you have actual photos, write on the back softly with pencil to identify the people, place and date the photo was taken. 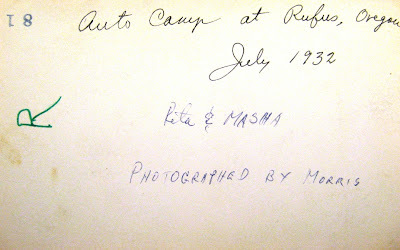 The back of this photo was first labeled in Aunt Reta's beautiful script, "Auto Camp at Rufus, Oregon. July 1932." Later, Aunt Luba's scratchier printing says, "Reta & Masha, photographed by Morris." Morris was Reta's husband, Masha their daughter. Reta and Luba were sisters. My grandfather, Lawrence was their older brother. Masha doesn't look very happy in this photo. She was about 12 years old. I do love the old auto in the car port of the auto camp. By looking at today's maps, Rufus still looks like a recreational area, near rivers and forests. I'm sure it was EXTREMELY rural in 1932. Aunt Reta and Uncle Morris were great travelers. 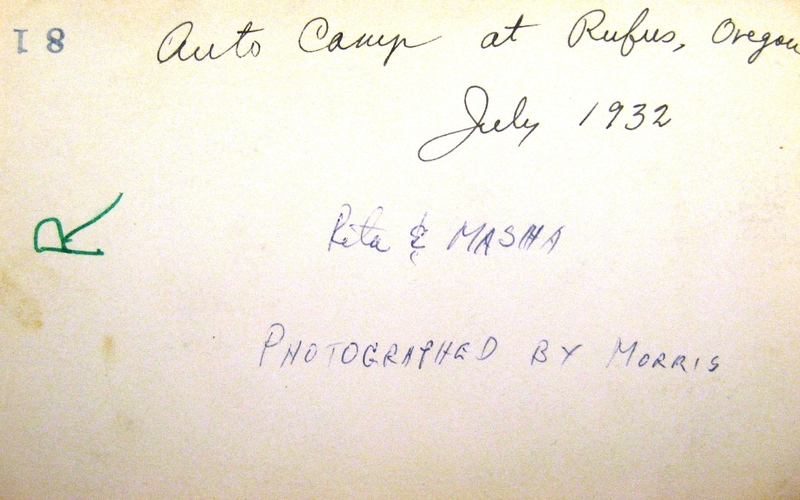 In the 1980's, before they moved to Connecticut, Morris and Reta gave my father many photo albums of their travels to Europe and beyond from the 1920's. In those days, it was expensive and cumbersome to carry a camera, so Uncle Morris bought postcards of all the places they visited and displayed them in albums. We have the albums, carefully stored in our garage. One day, I'll pull down the boxes and go through all of them. During their early years Reta, Morris and Luba lived in Chicago near the rest of the Bloom clan. Masha grew up there. 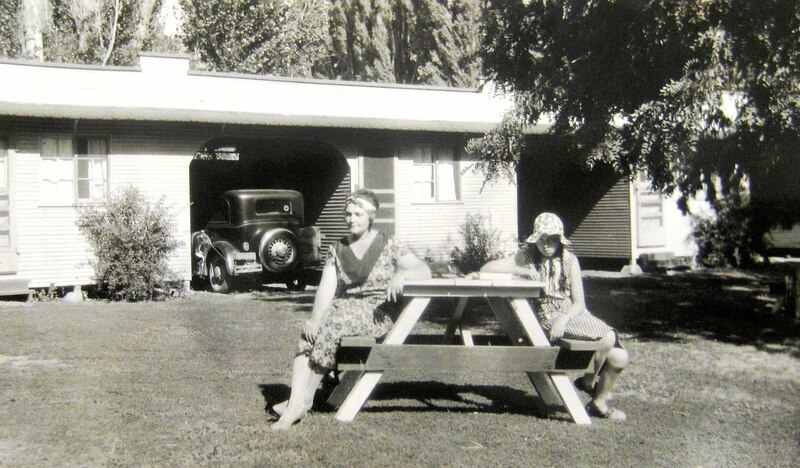 Years later Reta, Morris and Luba all moved to Hollywood, near my grandparents, so I really got to know them well. After Luba passed away in 1989, Reta and Morris moved to live near Masha in Connecticut. They both passed away there. Their daughter, Masha, passed away just a couple of months ago at the age of 90. I'm so glad that I have their photos to remember them by.